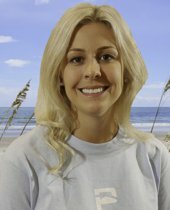 A Salisbury, NC native, Leigh grew up vacationing on Oak Island. She loved the coastal lifestyle and became determined to one day call Oak Island, HOME. Before moving to the coast, Leigh attended college at North Carolina State University. In 2017 Leigh set out on a new adventure to began her career in coastal real estate. We are excited to have Leigh on the team at PROACTIVE. Outside of work, Leigh enjoys taking her dogs to the beach, traveling and spending time on the water. She enjoys taking trips on the ICW with her pups. Leigh also enjoys interior design, she decorates and works on personal renovation projects in her spare time. When thinking Oak Island real estate, think Leigh Smith. She is your dedicated source for vacation homes, investment property and vacant land acquisition to vertical construction. Simple or complex she's ready for the job, email Leigh to begin the conversation. Just a few words about Leigh Smith, my NC Realtor as both a Buyer and a Seller. As a successful but retired Real Estate Agent, I know what the important qualities are for an Agent to work for me. Response time is critical; Leigh is always ready to assist me whether it is during business hours, evenings or weekends. Good Agents don’t take days off when there’s work to be done. Knowledge of the local markets is an important factor when making a decision, Leigh has and maintains an excellent knowledge base of market trends. And possibly most important, an aggressiveness when pursuing my goals and a willingness to be creative and think outside the box to get a deal closed. What more could anyone ask for? Leigh Smith helped us find our dream beach home. She is very knowledgeable on North Carolina coastal areas and worked very hard to make the closing as seamless as possible. She made sure to keep us in the loop throughout the whole process and met us numerous times to look at houses. I highly recommend Leigh to our friends and family without any hesitation. Leigh Smith has been awesome to work with. She helped us find the perfect Oak Island lot as well as getting us in touch with the right builder and the right banks. All outstanding, and her efforts are greatly appreciated. We would definitely work with Leigh again!